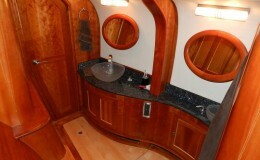 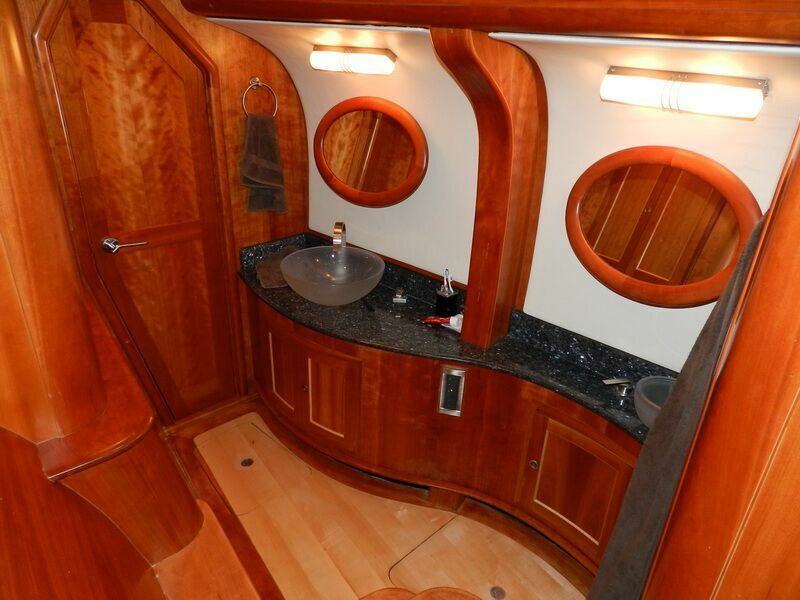 One look at this vessel, and you are sure to become a believer in ocean living. 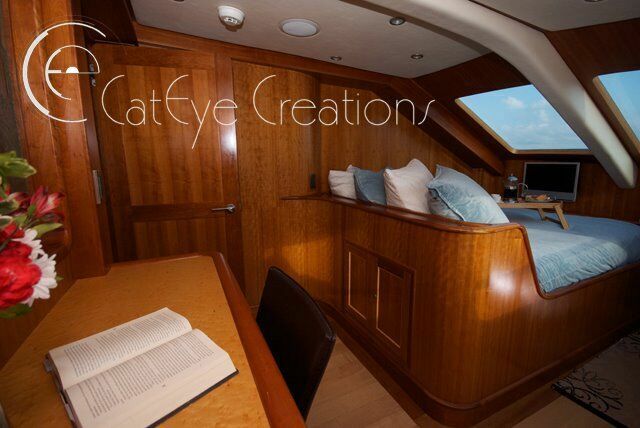 This vessel offers all of the comfort and elegance of home or a Five-Star hotel introduced to the architecture and sophistication of boat designs. 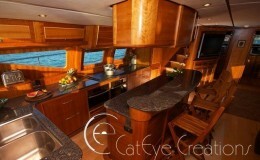 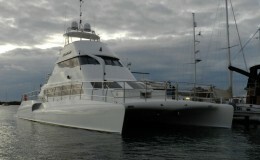 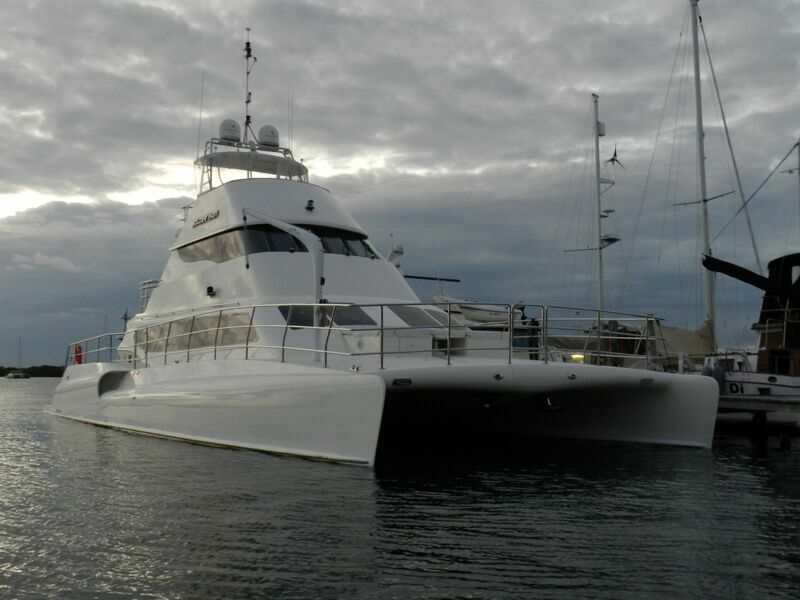 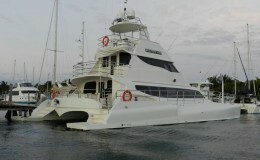 A 74’ custom luxury catamaran of this nature carries the same square footage of a 130’ luxury mega yacht. 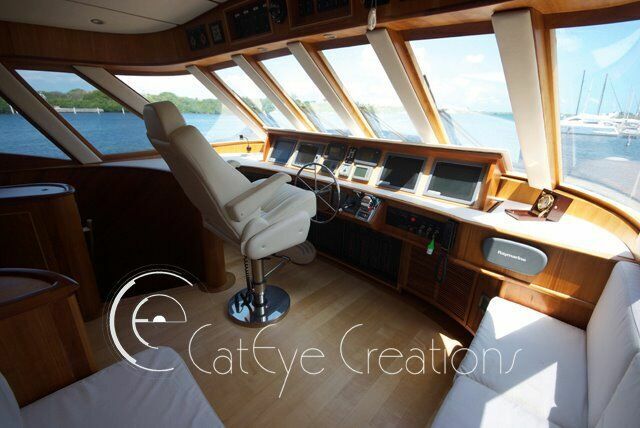 This aerodynamic and sleek catamaran exhibits all of the features of elegance that would be expected on a luxury vessel with many modern and improved amenities. 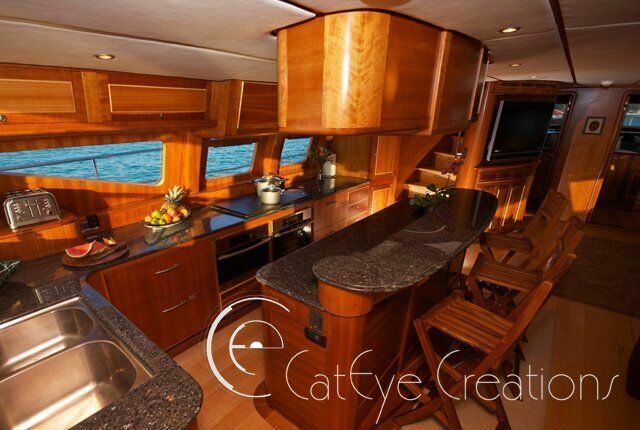 The intelligent design, modern features, furniture and fixtures create an atmosphere that boat enthusiast up until now have only dreamed of. 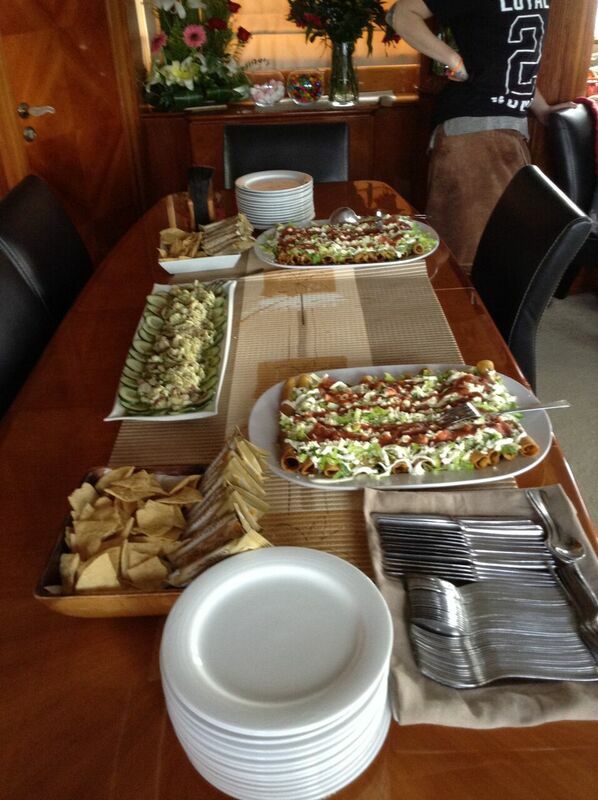 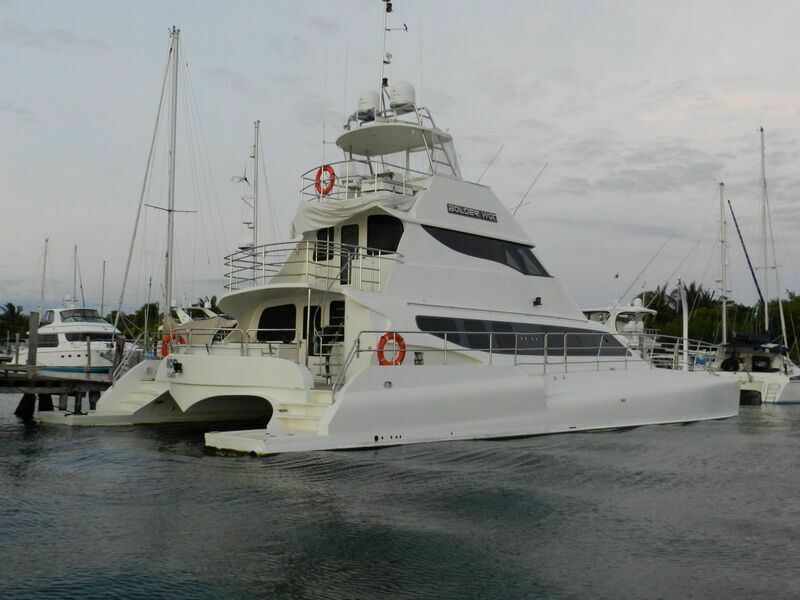 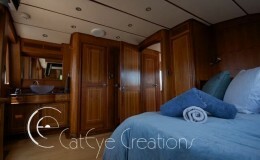 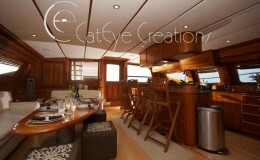 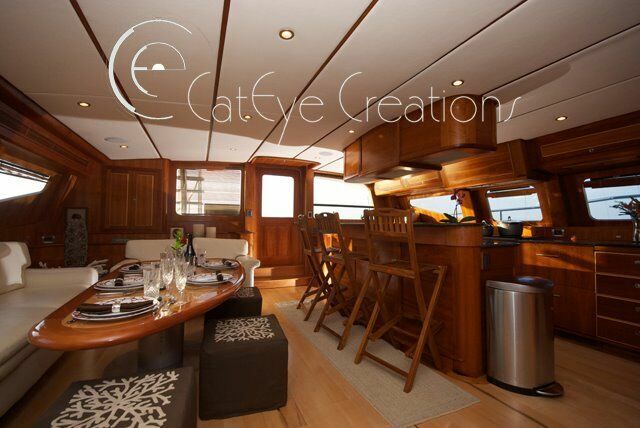 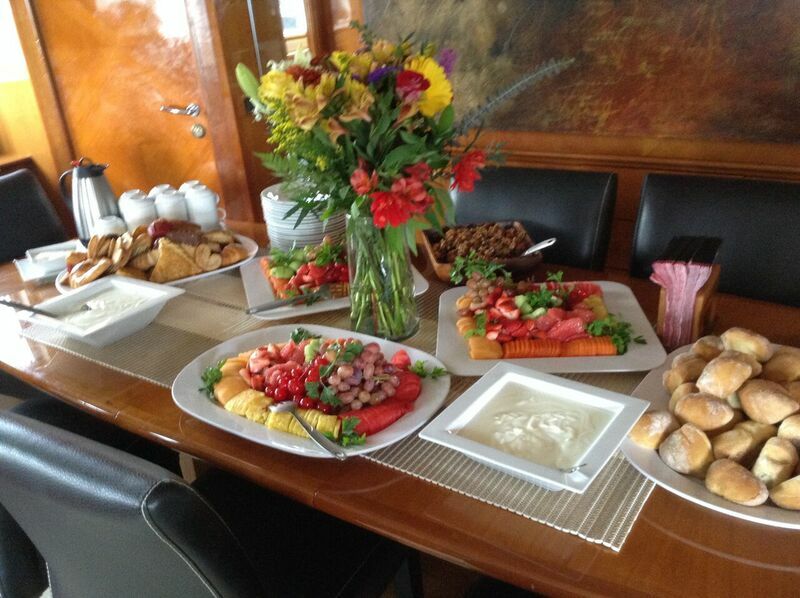 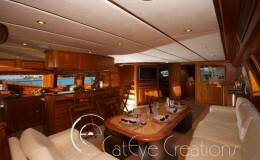 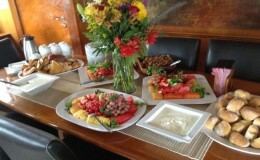 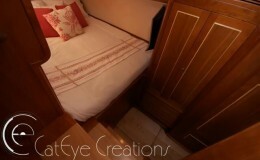 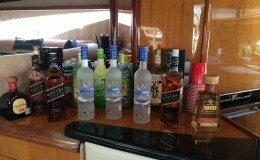 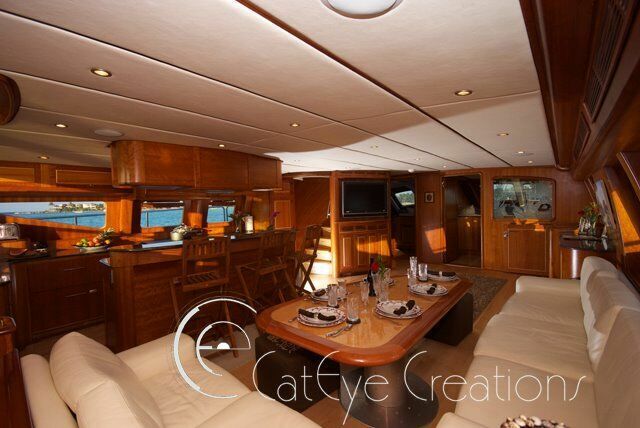 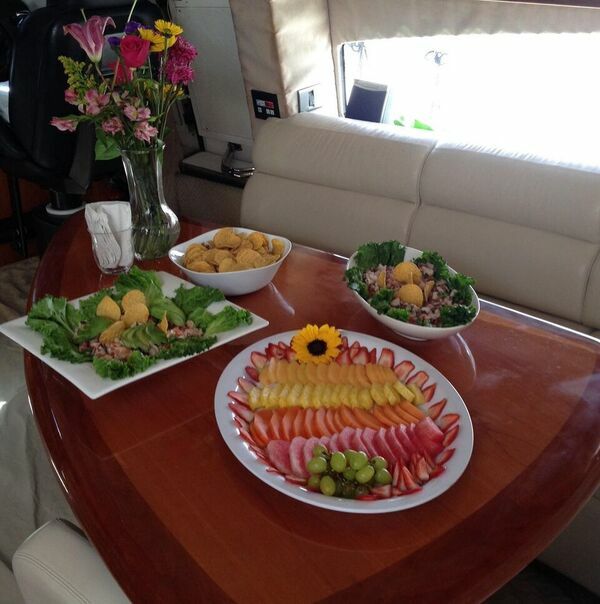 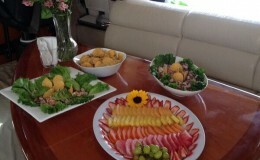 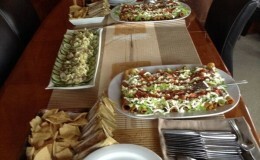 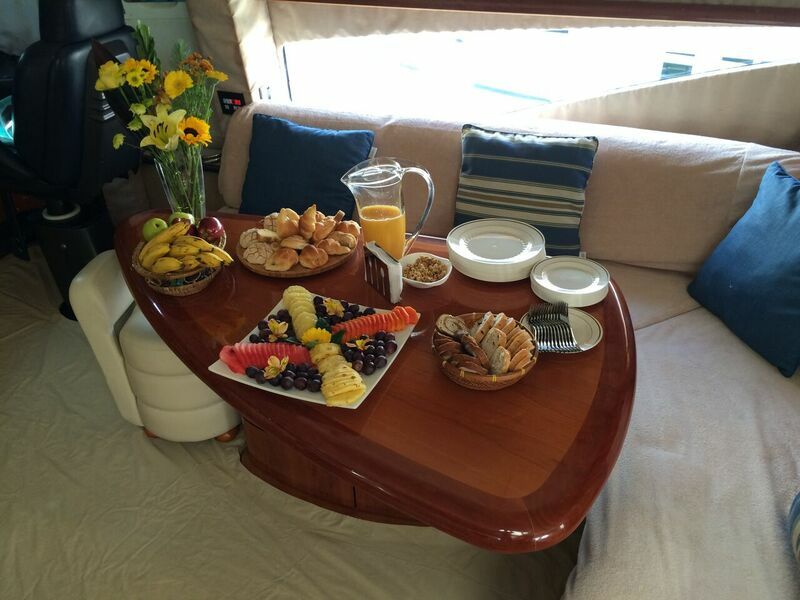 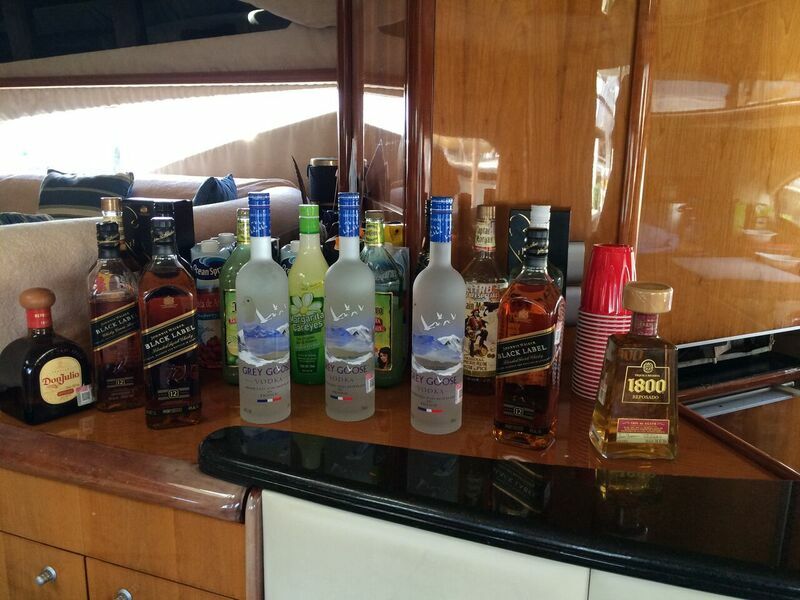 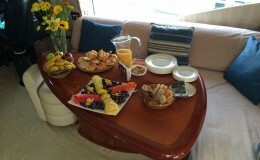 This is a vessel for all events and occasions and makes for the perfect charter vessel. 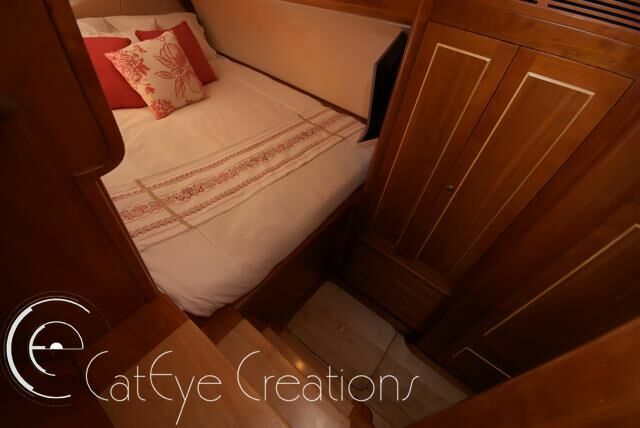 If choosing to charter for extended stays this vessel comes with five staterooms and seven full bathrooms sleeping a total of ten. 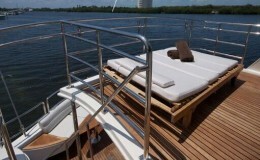 For day charerters, a limite of fifty guests has been placed on this luxury craft while it is thought there could be up to seventy comfortably. 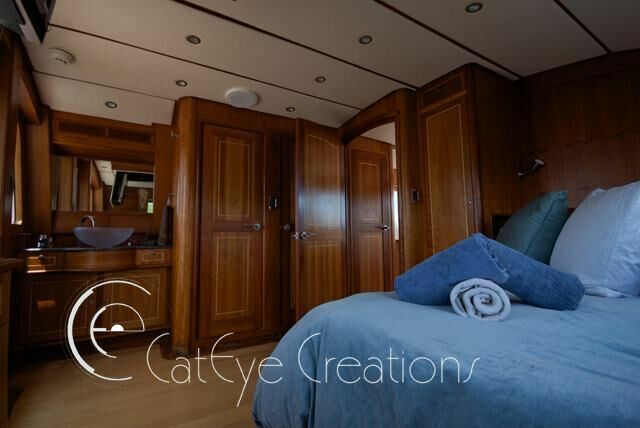 There is an ample amount of outside space for all of the crafts water toys and plenty of lounging and sunning areas exhibiting 360 degree views of the surrounding area wherever you might be.